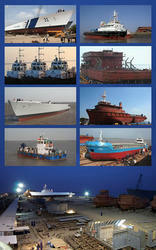 Shoft builds a wide range of vessels. Tugs, Supply Vessels, Bulk Carriers, Cement Carriers, Tankers, Product Carriers, Dredgers, Hopper Barges, Trawlers, Cargo Vessels, Pontoons, Naval Patrol Vessels and more. Built to ABS, DNV, BV, RINA, GL, Lloyds and IRS Class. Approved manufacturer of castings like Fin Boss and Fin Tip for warships under inspection by the Inspectorate of Warship equipment. Ador Welding Ltd. has been at the forefront of developing new products for the ship-building and ship-repair industries. Ador Welding Ltd. consumables have been designed to offer all required characteristics for shipbuilding, which in turn lead to welder appeal and satisfaction. The Group, consisting of exporters, added to its stature by advancing into Shipping. Besides meeting its own needs, the Group’s engagement in this sector has enabled it to gain competence in port development and logistics. The Group has sailed many a nautical mile and, with a committed increase in interest and investment, is all set for majestic voyages across the oceans. Manufacturing of Barges, Pontoons, Yachts and Fishing Boats etc. 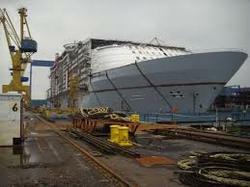 Tata Steel offers a comprehensive range of products and services to the shipbuilding industry. Our steels are used in the construction of a wide range of vessels including cruise liners, ferries, offshore support vessels, tankers, container ships, aircraft carriers and other military vessels. - Managing risk and paying attention to the details has always been key factors to successful shipbuilding companies. Shipbuilding projects distributed over multiple sites pose particular challenges to maintaining project management control.